The 10 Best Cities for Jobs in the U.S. Location is a huge factor when you're job hunting. In some cases, it's simple math—thanks to population size and the concentration of many industries in specific regions, there are typically more jobs in cities than in rural areas, and more jobs in big cities than in small ones. 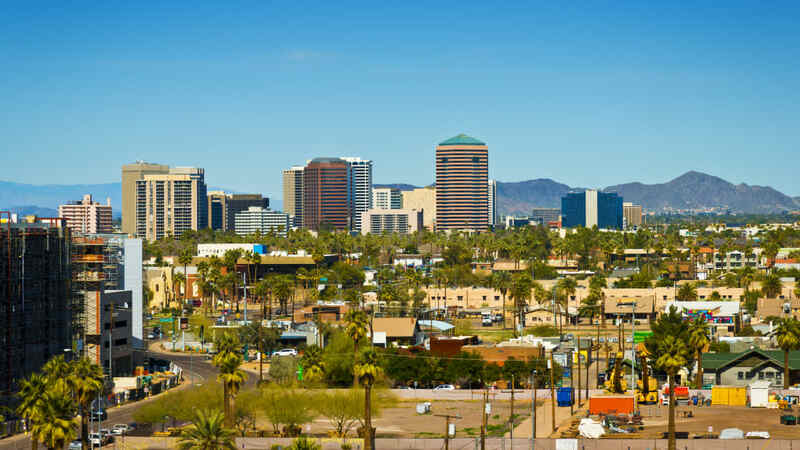 But according to a new WalletHub analysis of the best job markets across the U.S., you'd be better off job hunting in Scottsdale, Arizona, than New York or Los Angeles. WalletHub's results were determined based on 30 different metrics related to each city's general socio-economic outlook and its particular job market. That includes the number of job openings, job growth, average starting salaries, the variety of industries located there, the cost of housing and transportation, and more. The data was sourced from government agencies like the Census Bureau and the Bureau of Labor Statistics as well as private organizations like the Pew Charitable Trusts and Glassdoor. In general, the analysis found that mid-sized cities have more appealing job markets than bigger ones. San Francisco is the largest city to make it into the top 10, followed by D.C. and Boston. Factors like expensive housing and long commutes may have put big metros at a disadvantage. Places like Orlando (population: 270,000) outperformed the nation's biggest cities—Los Angeles (No. 81), New York (No. 85), Chicago (No. 132)—by a considerable margin. Looks like it's time to move to Arizona. Dive into the full dataset here, or explore the interactive map below.